Love them or hate them, Apple is one of the most dominant players all over the world world with their iPad and iPhone devices. And now they’re looking to expand that dominance into a new place: your car. That’s right, today Apple announced a new way to integrate iOS7 devices with your future vehicle. It’s called CarPlay and, to be honest, it looks pretty darn cool. 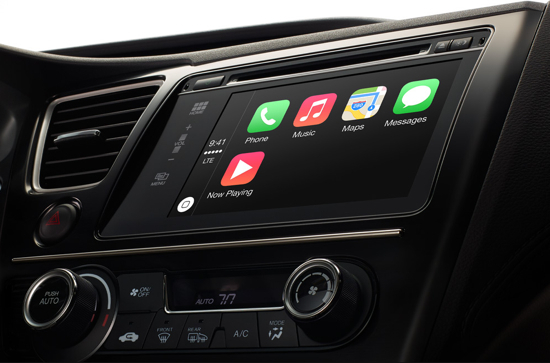 Set to debut later this year in vehicles from select manufacturers, CarPlay will let users make and receive calls, send and receive messages, listen to music and navigate with Maps, all via a built-in display in the car. Several other apps will be supported at launch, including Podcasts, Beats Music, Spotify, iHeartRadio and Stitcher. Car companies such as Ferrari, Mercedes-Benz and Volvo will showcase CarPlay at next week’s Geneva International Motor Show. Meanwhile, others such as BMW, Ford, GM, Honda, Hyundai, Jaguar Land Rover, Kia, Mitsubishi, Nissan, PSA Peugeot Citroën, Subaru, Suzuki and Toyota intend to make future vehicles compatible with CarPLay. For more on how it will work, Volvo has released a video highlights CarPlay’s features. Check it out after the break. Say what you will about the relative merits of a franchise like Fast and the Furious (we have), but one thing it does have going for it is cool car chases and other vehicle-related action. It also features Paul Walker. There’s also another movie hitting theaters soon featuring Walker and cars, but it isn’t part of the Fast and Furious franchise. It’s called Vehicle 19. In it Walker plays a recent parolee who picks up the wrong rental car after a long flight. He soon realizes he’s the target of an entire police force after discovering the tied-up female “passenger” in the trunk. In addition to Walker, the movie stars Naima McLean, Gys de Villiers, Leyla Haidarian, and Tshepo Maseko. And no, Vin Diesel is nowhere in sight. Check out the trailer for Vehicle 19 after the break. Look for it to arrive later this year. The Fast and the Furious franchise has recently risen from the grave and reinvented itself as a pretty great action franchise. 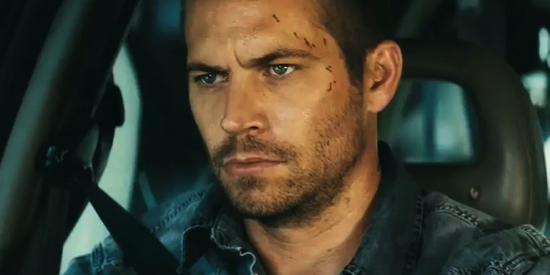 The success of Fast Five has given the filmmakers the conifdence to ramp up the scope and size of the next film. So much so that it looks like it might end up being two films. Diesel did not reveal details on whether the two movies would be two-parters or two standalone movies.” The Fast movies are always a lot of fun and you can tell with the last installment that the film makers were enjoying playing with the universe they created. The next film or films in the franchise are going to be highly anticipated and the franchise is healthier now then it has ever been. Director Nicolas Winding Refn’s Drive is a film I enjoyed very much. It’s stylish, almost absurdly violent and immensely entertaining. It’s what movies should be. Well, it’s what drama/action movies should be at the very least, Don’t get me wrong, it’s also got a brain. But what makes this movie so cool are the visuals and the anti-hero played by Gosling. He’s a man of few words who lets his actions speak for him. In the film Gosling plays “Driver,” a Hollywood stunt performer who moonlights as a wheelman that will take any job and not ask questions. All is well until that fateful day he discovers a contract has been put on him after a heist goes wrong. And oh boy does it go wrong. Because I enjoyed it so much I want to do whatever I can to help get the word out. Like we’ve already done. Now, We’ve got even more from the film to share with you. This time around it’s a bunch of videos including some behind-the-scenes stuff as well as a few scenes from the film itself. You can check them out after the break. In addition to Gosling, Drive stars Carey Mulligan, Bryan Cranston, Christina Hendricks, Ron Perlman, Oscar Isaac, and Albert Brooks. It hits theaters this Friday. See it. You can say what you will about Adam Carolla. Call him a loudmouth or some other less flattering names. Why not, he sometimes says things that make people angry and is in the public eye, so he’s pretty much fair game. Whatever your opinion of Carolla, you can’t fault the man on at least one thing: his cars. In case you hadn’t heard, Carolla is a very enthusiastic car guy and collector. In fact, his obsession with cars led him to start a podcast about them and eventually to a TV show on Speed TV called The Car Show. But what cars does Carolla have in his own garage? Well, the folks over at Autoblog got a chance to tour Carolla’s garage and found quite a few interesting and exotic surprises there. You may be surprised at his love of all-things Datsun as well as his fondness for classic Lamborghinis. Like Carolla or not, his selection of cars is pretty interesting, and pretty damn cool. We’ve included a couple pics of some of the cars after the break. Head over to Autoblog for the rest. This comes directly from the “things we would love to have when we’re filthy rich” department. Yes, we have one of those here at The Flickcast. Doesn’t everyone? To what lust-inducing thing of beauty am I referring? Well, be sure you’re sitting down because this one is pretty impressive. I’m talking, of course, about a turbine powered Keaton-era Batmobile. Designed and built by Casey Putsch, the car is a hand-made repliaca of the famous vehicle powered by the same Boing engine used in a Navy drone helicopter. Sadly (but good for someone else) Putsch has decided it’s time for his creation to go to someone else. So, what do you do with your turbine powered Batmobile when you want to sell it? You put it on eBay of course. The price? Well, as they say, if you have to ask you can’t afford it. Okay, it’s $620,000. Start looking under those sofa cushions. Also, click through for a video of the car in action. We now continue our rather infrequent series of car-related posts with this new one containing a video of the world’s most famous actor, Tom Cruise, putting the Red Bull F1 car through its paces. Yes, the car is fast and yes Cruise is a pretty good driver who really shows he’s got some skills. Sadly, things don’t go completely perfect for the diminutive action star as you can clearly see if you watch. However, that doesn’t mean the video isn’t interesting, it is. It also makes us very jealous he gets to drive cars like this and we don’t. Damn him. And damn him for corrupting young Katie Holmes too. Oh well. Anyway, the video is still pretty cool and we think you’ll enjoy it. Check it out after the jump. If there’s one thing we love as much as movies, TV, comics, games and pop culture here at The Flickcast, it’s cars. Cars are fun and they go really fast. We like fast. Speaking of fast, there’s a new documentary out now called Senna which tells the story of a man who liked to go fast and is widely regarded as one of the greatest Formular One drivers that ever lived. That man: Ayrton Senna. Director Asif Kapadia has put together a great documentary about the man and his legend and the guys at one of our favorite car websites, The Smoking Tire, managed to snag an exclusive interview with Kapadia, which we are glad to bring you right now. Check out the interview after the jump. Senna is in theaters on LA and New York now with a wider release to follow. If you like cars and great stories, this is one you don’t want to miss.